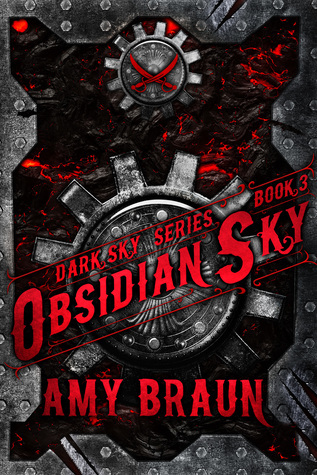 Review: Amy Braun has brought an explosive and fitting end to her Dark Sky series. I loved this ending, and though I'm sad to see it go, I will always be rooting for my favorite buccaneers of the skies. This book mainly follows Claire and Sawyer as they learn to deal with their feelings for each other all while trying to save the world from the invading Hellions. Claire, who is being held captive on the Hellion ship, has a big undertaking, when she devises a plan to blow up their leader and the power that he uses to create his armies. Sawyer is desperate to save the woman that he loves, and face the brother that only has loathing for him. Its an epic battle of whits and excitement. I'm so glad to be a part of this wonderful world. Five stars for Amy Braun's Obsidian Sky!